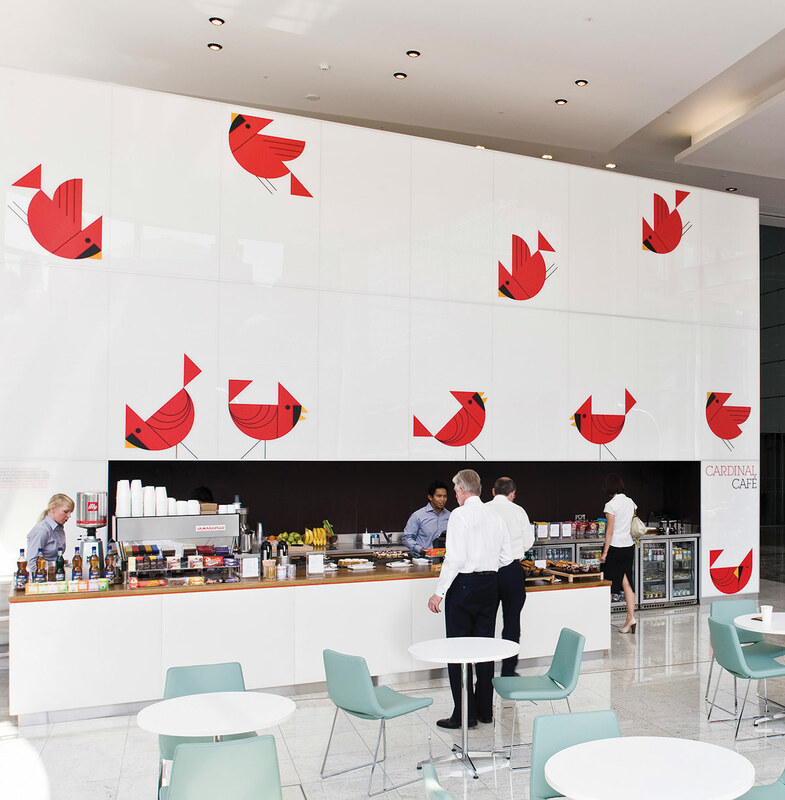 Cardinal Place, a large commercial development in Victoria (500,000 Sq Ft) opposite Westminster Cathedral, has a vast reception area, within which a café was built for the workers on the entire estate. The brief was to create the name and branding for this café, including signage, wall graphics, crockery and other collateral. 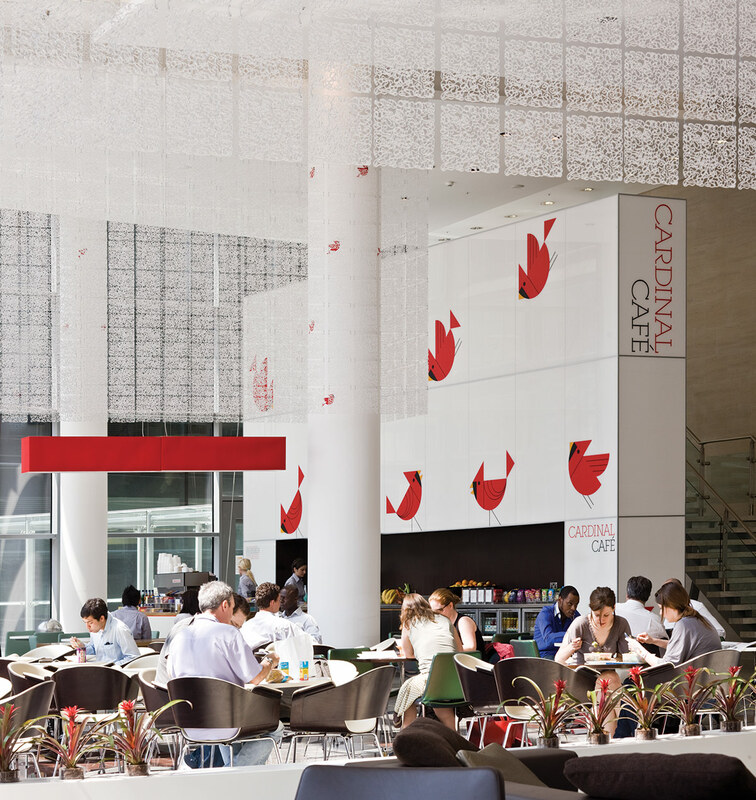 A character was created using a cardinal bird for inspiration, which not only shares its name with the location but also lent the café its name: Cardinal Café. Using a character meant that vibrancy and activity was created in the cafe area, keeping it distinct from the corporate reception area. 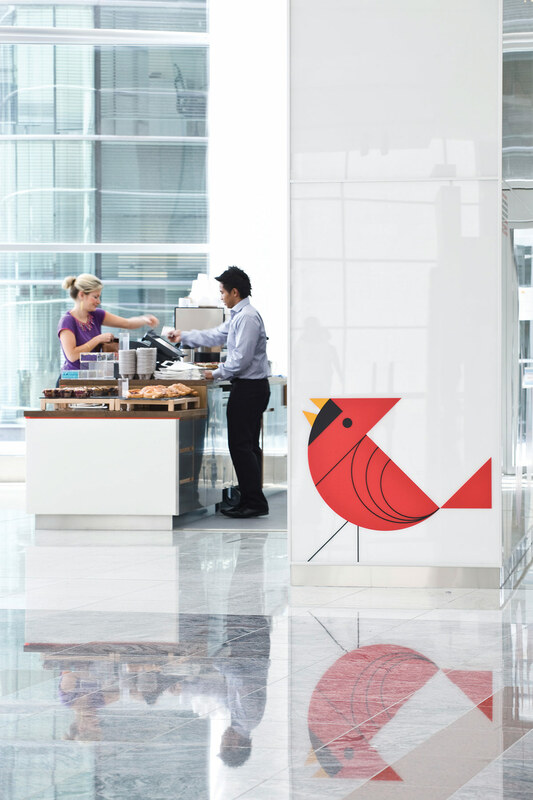 Graphics were applied using vinyl, which is easily updatable, allowing for the birds to ‘move’ around the area over time. 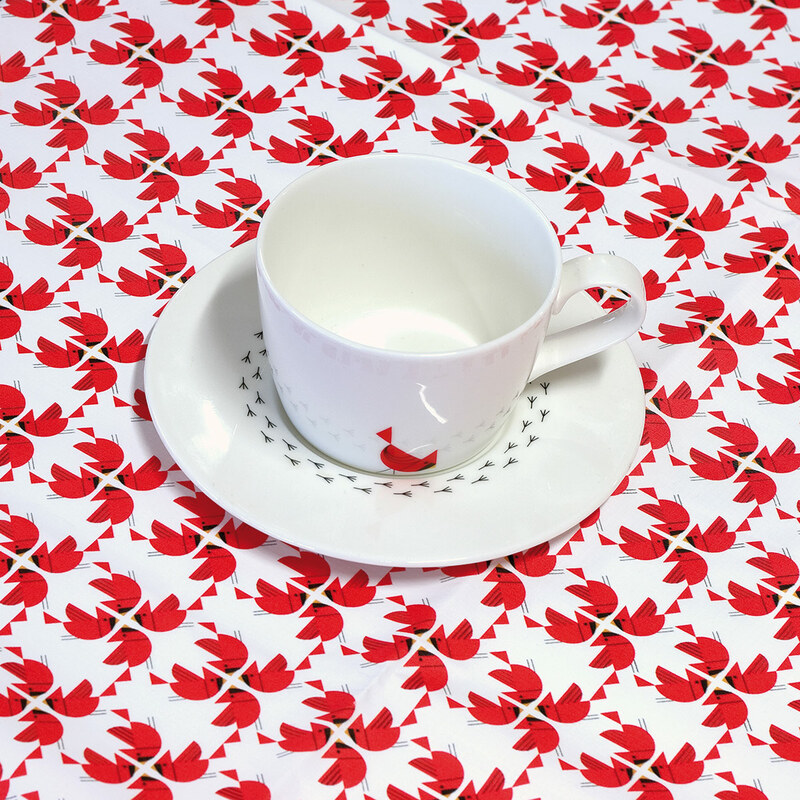 Applications included: mailers, signage, cups and saucers, napkins and tablecloths. I love this environment! The design down to the small details really make it.